June 23 ~ July 31: The 5th Exhibition of the Biggest Painting in the World 2020 Haneda Airport, under the theme “Connect All the Towns in Japan, Connect All the Countries in the World”, was held at Sky Gallery, 6F, Terminal 1 of Haneda Airport. From June 30 to July 6, the big paintings from Shibetsu City, Ishikari City, Asahikawa City, Rishiri Town, Rebun Town and Shosanbetsu Village in Hokkaido were exhibited. 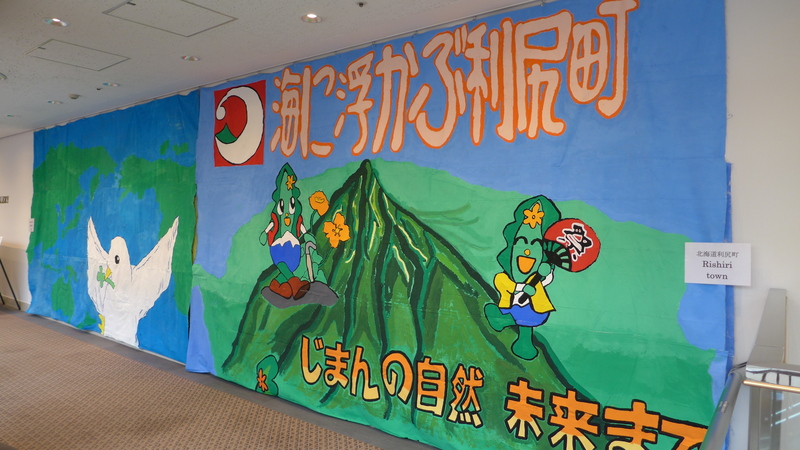 Two of five pieces of the Biggest Painting in the World 2020 was painted in Asunaro Kindergarten in Asahikawa City, Hokkaido. 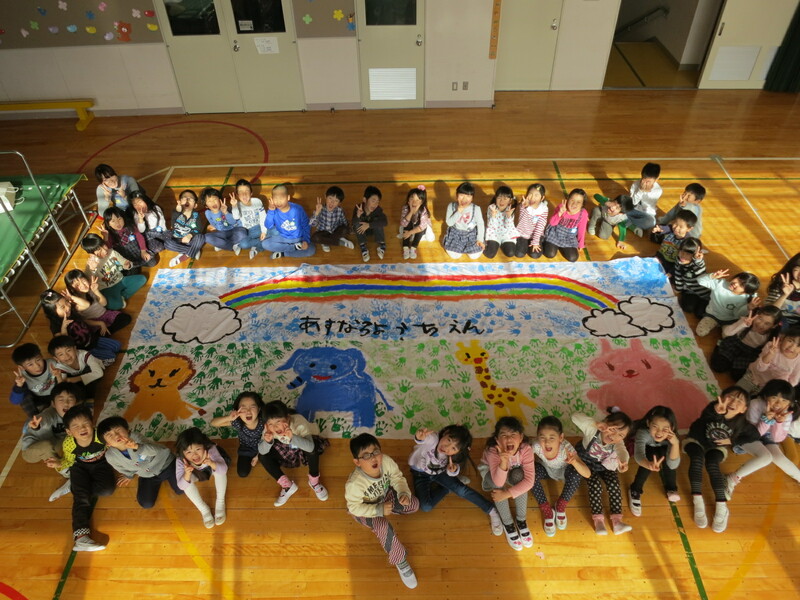 Delivered the cloths for the Biggest Painting in the World to Asunaro kindergarten in Asahikawa City, Hokkaido, who had expressed their participation in the project. 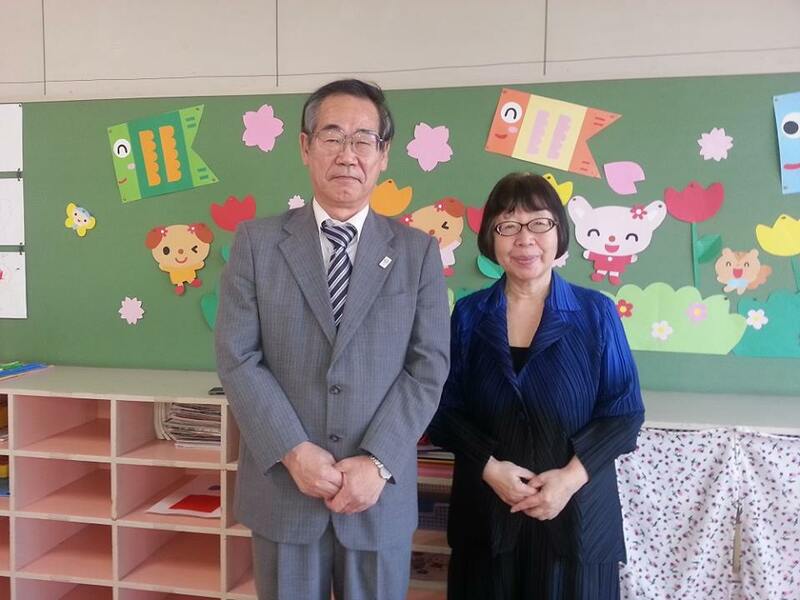 I visited the Ashitaba kindergarten of the educational foundation Sakuragaoka school in Asahikawa City, Hokkaido. I visited the Ashitaba kindergarten of the educational foundation Sakuragaoka school in Asahikawa City, Hokkaido. They participate in the Biggest Painting in the World project. I took a ceremonial photograph with Mr. Sakuragaoka, a principle.